Etude House x Disney: “xoxo minnie” lipstick in bubble pink. The entire collection actually came out in October of 2013, but I wasn’t really interested in any thing from it until around December/January time – when everything else just seemed super ~same-y~ and I wanted to try something new. I’m not really one for wearing lipstick all that much, especially not pink lipstick, so I’m actually, genuinely surprised that I love this product so much. Gutted that it was a limited edition item, it’s far less bubblegum childish than a lot of the other Etude pink shades. I have a ridiculously deep love for products from Skin Food, and three have just been especially wonderful for my skin last month since I’ve been suffering from intense dry patches that made me really self conscious and my skin just … bler. For the majority of my time in Korea I’ve been using the Etude House Green Tea cleansing tissues to remove my makeup at the end of the day, towards the end of January and into February I found that they were really drying out my skin. So I picked these up on a whim in Skin Food and they’ve really helped. The pack says that the tissues aim to remove makeup without irritating or drying out the skin, and it’s fair to say they definitely do that. The first time I tried this it was actually in a little tester pack and I instantly adored it. It got rid of all the dry, scaly skin that I was suffering from on my cheekbones without being painful/stinging. It’s a self-heating mask that feels a bit weird to put on and the smell is definitely sesame, but I loved the results so much that I scoured all the Skin Food branches trying to find an actual pot of it. Definitely worth it. I don’t use it all the time, just once a week for a deep pore cleanse. This is a deeply intensive emulsion that has great moisturising properties. It’s actually part of a set that includes a toner, serum, eye balm, cream, essential oil and a multi balm… but being on somewhat of a student budget, I only bought what I really needed. I might try out the others in this set in the future, but for now I’ve been really happy using this. 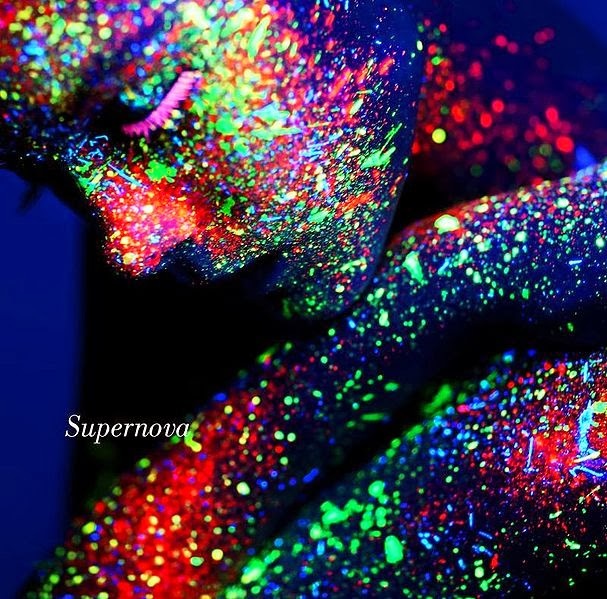 I’ve mentioned previously my love for Japanese rock music, and March saw one of my favourite bands – Alice Nine – release their new studio album, Supernova. Which I have been listening to tracks from at least once a day, no kidding. My favourite from the album is KID, which is the first time Alice Nine has incorporated dubstep into their music. And just look at how gorgeous the album artwork is. I think I’ll finish off my favourites with my favourite blogs/youtube channels of March. Queen of Jet Lags – I really enjoy reading/seeing the outfits Noor creates. She just has this effortless style that I’m really quite envious of. The Beauty Department – so many useful and inspiring posts that keep me reading for hours. From Head To Toe – I was actually introduced to her channel by a friend of mine this month and I find Jen’s energy to be really infectious and she’s just a really inspiring person. clothesencounters – if you don’t love clothesencounters you are lying. Ok well not really, but I’d definitely be lying if I said I didn’t love watching her channel. She seems to be able to just throw literally anything together and look amazing. Unfair!! Well that’s it for my favourites this month, I hope you liked this post, and that it inspired you to try some new things. What were your favourties last month? I’d love to hear about them.